Map of Africa extending eastwards to include the Middle East, India and China. Shows Terra Incognita extending up towards New Guinea. Includes table illustrating figures in traditional dress. Pl. 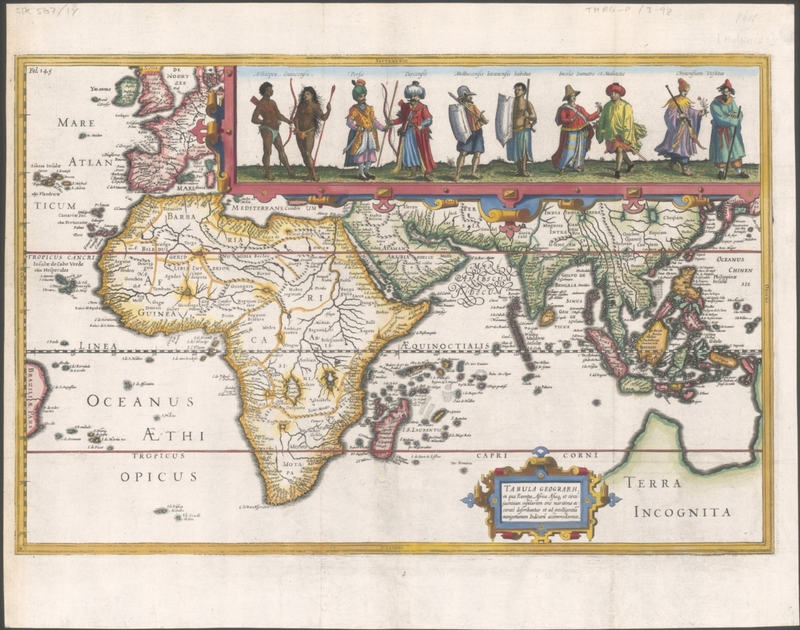 145 from: Rerum et urbis Amstelodamensium historia / Johannes Isaacus Pontanus. Amsterodami : s.n., 1611.